Robin Griffith-Jones, Master of the Temple Church, re-examines the Nativity stories told to us in Matthew and Luke’s Gospels and asks what they say about the meaning of Christmas. 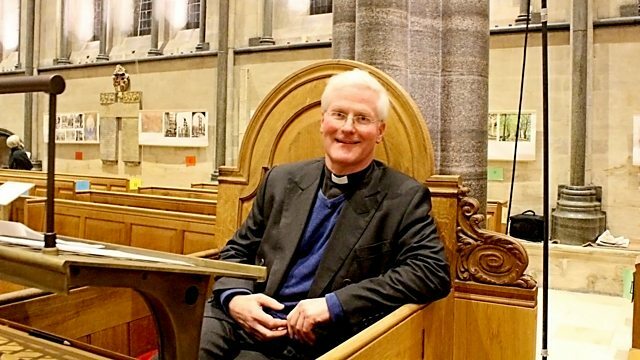 The Reverend Robin Griffith-Jones, Valiant Master of the Temple in London, explores the nativity narratives recorded in the Gospels of Matthew and Luke. The familiar tales of virgin birth, shepherds and Magi are intriguing and laden with symbolism and meaning. "There is far more to them, as they were written then and as they have been read over the centuries, than meets the eye," he says. To illustrate his thesis, Robin introduces music from Handel and Bach and the poetry of TS Eliot and John Donne. Performer: The Temple Church Boys’ Choir. Performer: Choir of King’s College Cambridge & Sir David Willcocks. Essential Carols - The Very Best of King’s College, Cambridge. Performer: St Paul's Cathedral Choir. Carols With St Paul’s Cathedral Choir. Performer: Westminster Cathedral Choir & James O’Donnell. Performer: Choir of King’s College, Cambridge. Today’s programme was presented by Robin Griffith-Jones. The producer was Michael Wakelin.